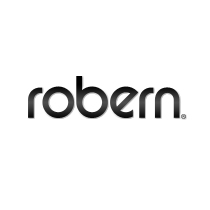 Robern bath products offer innovative solutions that marry technology with style. Mixing storage needs with a luxurious feel, Robern mirrors, medicine cabinets, and vanities feature eye-catching designs and cutting-edge technology. Featuring easy-to-install hardware and premium construction, Robern medicine cabinets offer integrated task lighting and interior illumination, magnetic storage, Bluetooth connectivity and USB ports. Robern vanities, available highly-configurable and modular options, can be matched with Robern mirrors and Robern bath lighting, featuring elegantly polished metal surfaces and sleek styling.